We're in June already- goodness gracious! I feel like May was only a week long with how fast it went by. Here are my beauty favorites from last month. If you did a favorites post, please link me to it! Real Techniques Stippling Brush - So good with cream products. 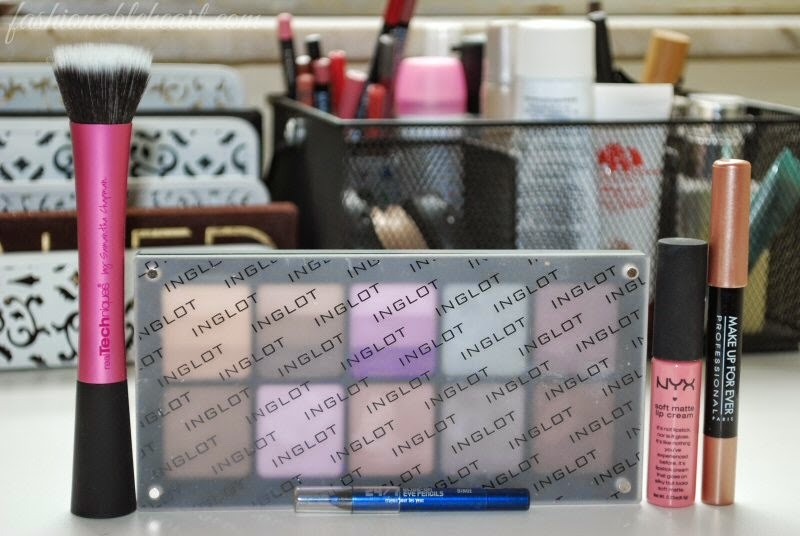 My Inglot Freedom System Palette - Swatches are here. All of that good stuff you hear? True. 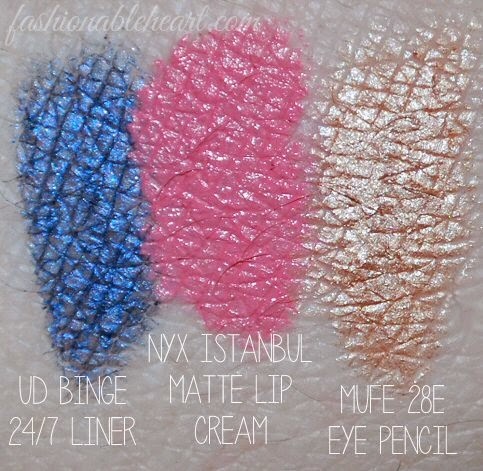 UD Binge 24/7 Liner - This is my little one, because I just grabbed it out of my purse. A nice pop of color! NYX Matte Lip Cream in Istanbul - I never did review this after meaning to. Drat! Swatch below, review to come. MUFE Eye Pencil in 28E - A shimmery color that I use on its own or a base. For me, it stays all day. That MUFE eye pencil looks gorgeous! For some reason I am really into golds right now! All the pencils I've tried from them are great. Added that one to my list! Do you use the stippling brush for cream foundations or cream blushes/bronzers? Beautiful choices all around! I really want to try the NYX Lip Creams but I have so much lip stuff as it is, gah! Tell me about it! I have not bought a single makeup item this year, so I've been shopping my stash and coming across things I never even used or finding old favorites. You begin to realize just how much stuff you have accumulated! Oh my gosh, it would look amazing on you with your skintone! It's a beautiful shimmery gold with a hint of copper. Great for summery looks. The brushes and the quality of colors are appreciable! These best matching with Fashion 2014 lifestyles.